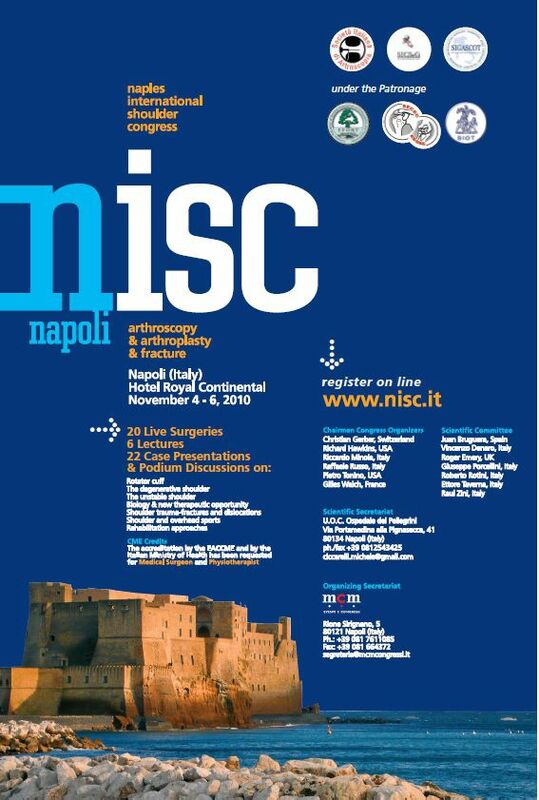 It is with great pleasure we invite you to the 2010 Naples International Shoulder Congress, about arthroscopy, prosthesis and fractures. 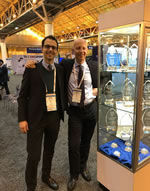 The 2008 edition has been a real success both for the high scientific level of the program and of the Faculty and for the considerable number of participants even beyond our expectations. The scientific program of the congress will include 20 live surgeries and relive surgeries, 6 lectures, 22 case presentations by leading shoulder surgeons, round table and podium discussions, and workshops by faculty demonstrations.